Directions: Go north on US 160 from Pagosa Springs toward Wolf Creek Pass. This waterfall was visible from the car between Treasure Falls and Camp Creek Falls. 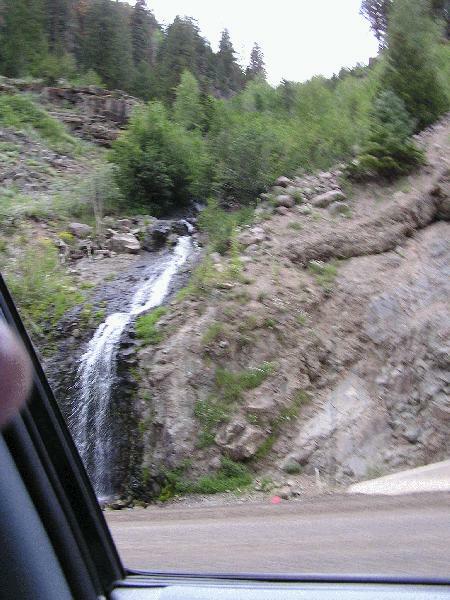 Notes: I saw this Unknown Falls on August 10, 2004 driving by.